Sensationalist media reports, which bring more heat than light, distract us from an important yet oft-ignored truth: Latin America has profound, self-created problems. When Latin-American migrants travel from Central America to the United States, they cross not only thousands of kilometers, but civilizations and generations of cultural and economic development. You name an issue, and the region suffers from it: crime, corruption, authoritarianism, pollution, murder, and poverty. The most obvious is economic deprivation, thanks to centuries of state intervention in free markets and the curse of a low-trust society. If one focuses on the migrants arriving via land at the U.S. border—from Nicaragua and the Northern Triangle of El Salvador, Guatemala, and Honduras—about half of their economic activity is informal, and you’ll be counting your blessings if you make more than $500 per month. Over $1,000 per month puts you comfortably with the professional elites. In other words, those coming to the United States can easily quadruple their earnings. (The ratio is even worse for Cuba and Venezuela.) No wonder about 10 percent of the Northern Triangle’s earnings are simply remittances back from the United States—16 percent in both El Salvador and Honduras. A useful indicator of social development, or lack thereof, is child marriage. Consider that more than 40 percent of women in Nicaragua get married before they turn 18, and around one third do the same in the Northern Triangle, with little change in recent decades. The corruption in Guatemala, like her neighbors, is so pervasive that people widely understand what is meant by “phantom jobs” and “phantom projects,” which are widespread in the government. The latter—profitable but nonexistent infrastructure—makes Alaska’s proposed bridge to nowhere look positively productive. Deep down, Latinos know the truth. Why else would rich and poor alike be so eager to flee, continuing through or overlooking Mexico, often at great expense and risk to their lives? Voting with one’s feet and leaving is the strongest rejection one can make of a nation and her ruling class. However, the wave of émigrés—attracted to the clarion call of economic optimism in the United States—should compel self-reflection throughout the region, particularly in Central America. Excuses and scapegoating, such as that directed at U.S. President Donald Trump, will do nothing to reverse the long-term abandonment. Attacks against him and capitalism, which fly in the face of where the émigrés actually prefer to live, also incline Central Americans to bring their problems with them to the United States. 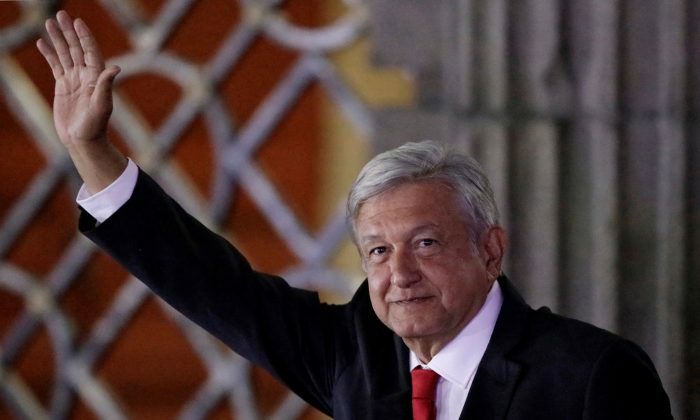 The election of Andrés Manuel López Obrador to the Mexican presidency last weekend—he is in the populist mold of Hugo Chávez—suggests a long way to go before the leaders of Latin countries take a sufficient look in the mirror. Not only will his support for mass migration to the United States not address problems at home and in Central America, it epitomizes hypocrisy, since even fully naturalized citizens have no place in senior government life in Mexico, not even in the police force. The United States, on the other hand, has a former illegal immigrant in the Congress. The solutions need not be complicated, and Peruvian exile Álvaro Vargas Llosa has done the hard yards in his classic work “Liberty for Latin America: How to Undo 500 Years of State Oppression.” Vargas focuses on rooting out mercantilism and formalizing economic life, to protect property rights and enable financial intermediaries and investment. Resisting protectionist tendencies and maintaining positive trade relations with the United States, of course, are key, be that via NAFTA or CAFTA. Latin-American nations, particularly those in the narco crossfire, can also liberalize their drug laws and work with the United States to wind down prohibition, which has fomented violence on both sides of the Río Grande. The same goes for foreign-aid dependence. As the great Nobel Laureate economist Gary Becker observed, no nation has gotten rich on account of foreign aid. Only a healthy private sector can bring long-term capital accumulation and wealth, and Latin-American nations must reject and wean themselves off foreign aid. The hanging question, however, is whether Latinos of Central America and Mexico are willing to embrace modernity with markets and social liberalization. “Here there is no respect for life, liberty, property, nor equality before the law,” writes Figueroa. Until that changes, Latinos will continue to prefer a better life in the United States. 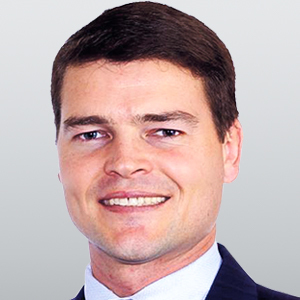 Fergus Hodgson is the founder and executive editor of Latin American intelligence publication Antigua Report. He is also the roving editor of Gold Newsletter and the managing editor of the American Institute for Economic Research.